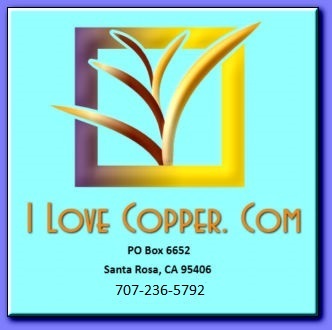 Welcome to I Love Copper. 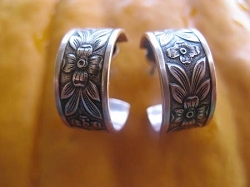 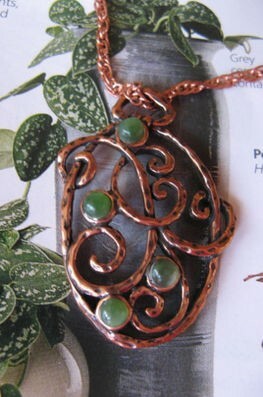 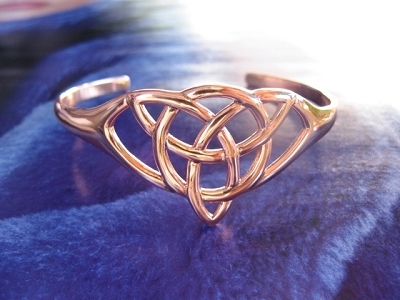 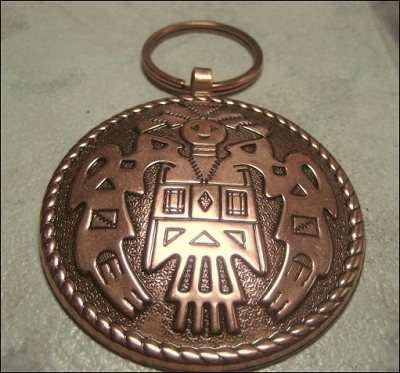 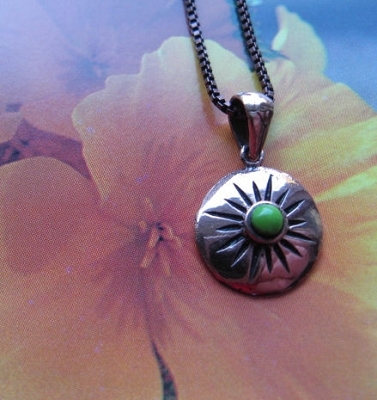 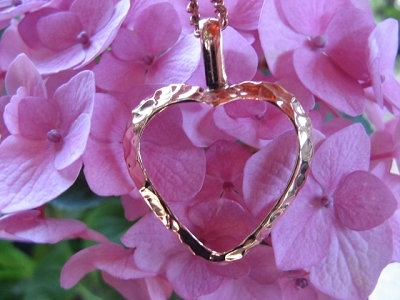 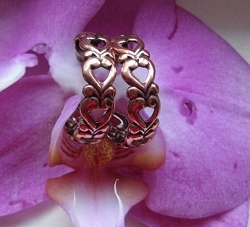 Com - Beautiful Solid Copper Jewelry including Rings, Earrings, Pendants, Chains, Anklets and Bracelets and Celtic Jewelry. 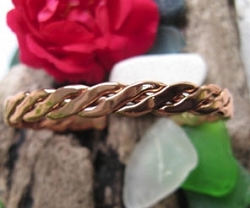 Women's 7 Inch Solid Copper Cuff Bracelet CB7163T- 3/4 of an inch wide. 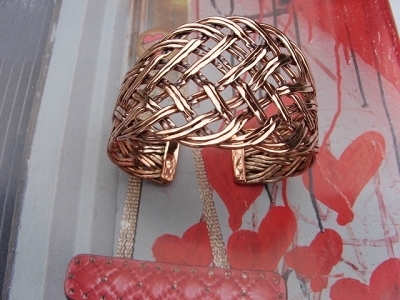 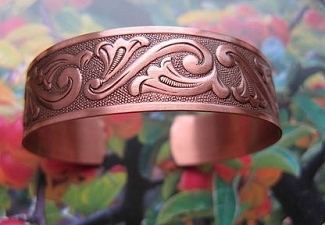 Women's 7 Inch Copper Cuff Bracelet CB5090C - 1 3/4 inches wide. 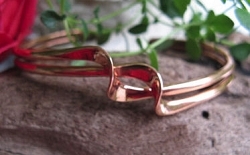 Men's 8 Inch Solid Copper Magnetic Cuff Bracelet CBM238 - 5/8 of an inch wide. 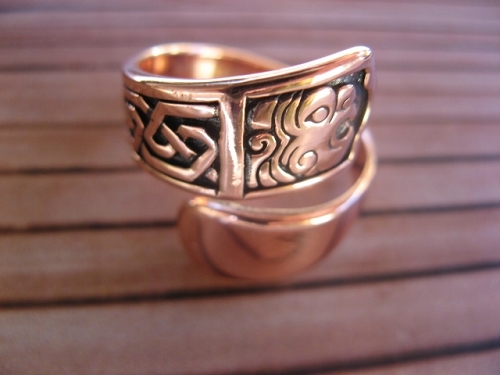 Solid Copper Band Ring CR42T - Size 6 - 3mm wide - 1/8 of an inch wide. 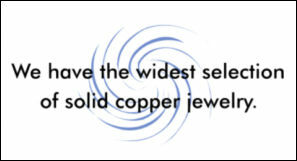 Solid Copper Band Ring CR42T - Size 7 - 3mm wide - 1/8 of an inch wide. 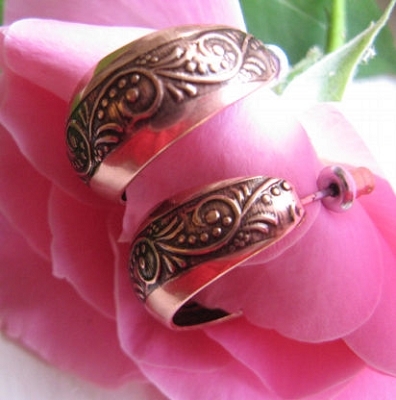 Solid Copper Celtic Knot Earrings #CER1141 - 7/8 of an inch long. 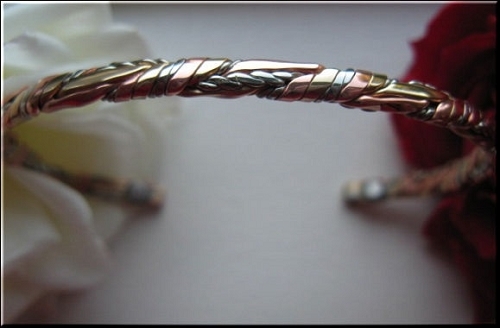 Women's 6 1/2 Inch Solid Brass bracelet CB33S - 3/8 of an inch wide. 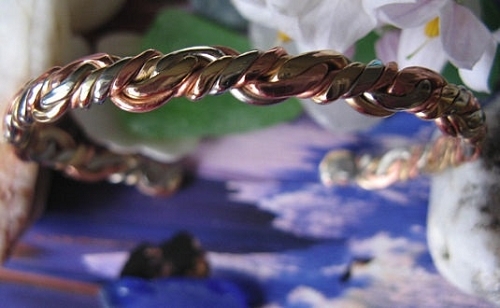 Solid Copper Anklet CA730G - 1/4 of an inch wide - Available in 8 to 12 inch lengths. 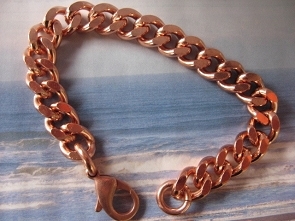 Solid Copper 7 inch Bracelet CB256 - 3/4 of an inch round. 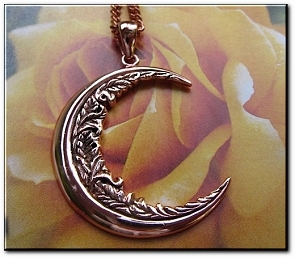 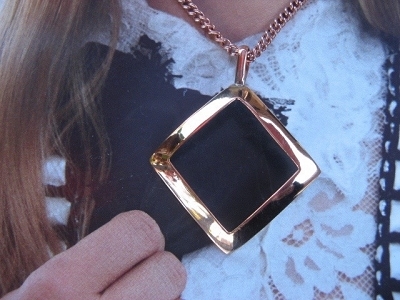 Orders are shipped within one day of being received. 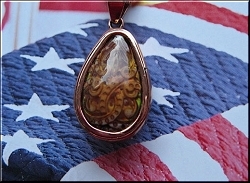 All our chains, bracelets and anklets are made in the USA. 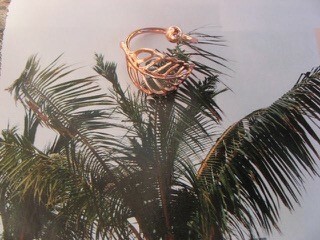 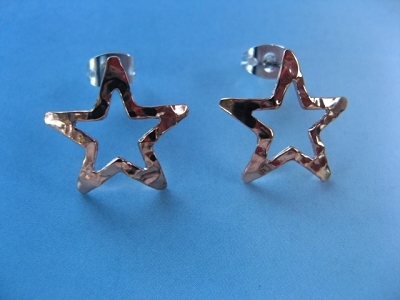 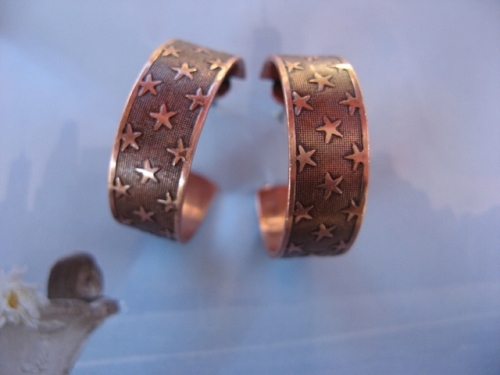 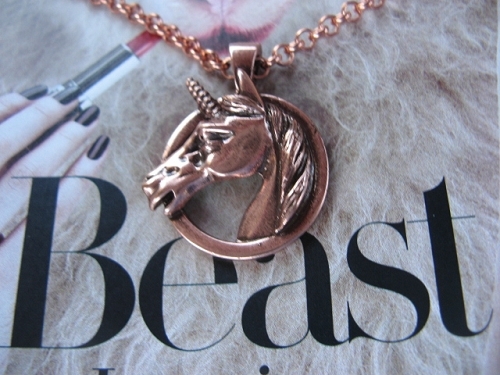 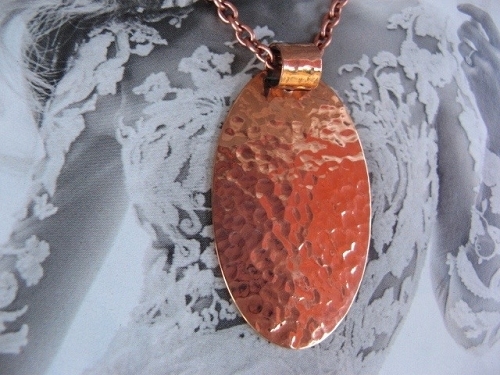 copper jump rings, ready to wear. 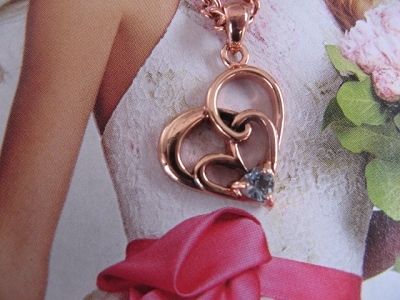 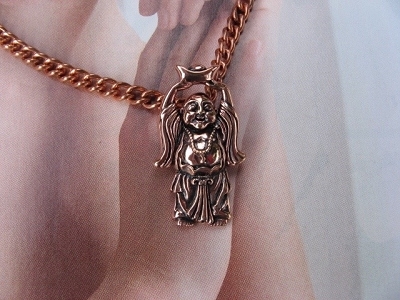 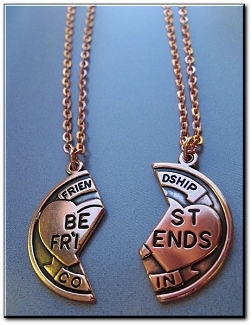 The length of all the link anklets, bracelets and chains include the jump rings and clasp. 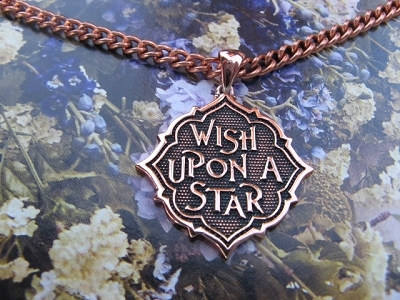 Over 100 styles of chains, bracelets and anklets to choose from. 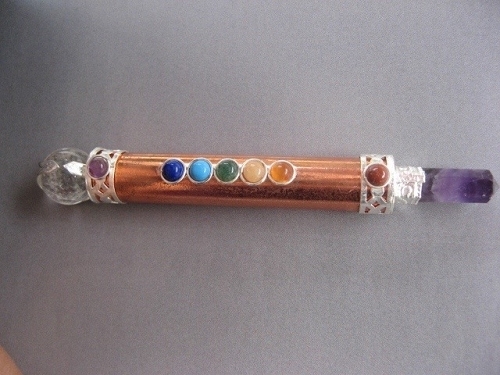 Over 800 different items are on sale. 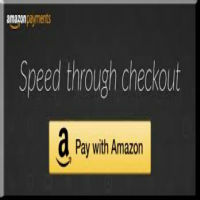 No coupons or codes necessary. 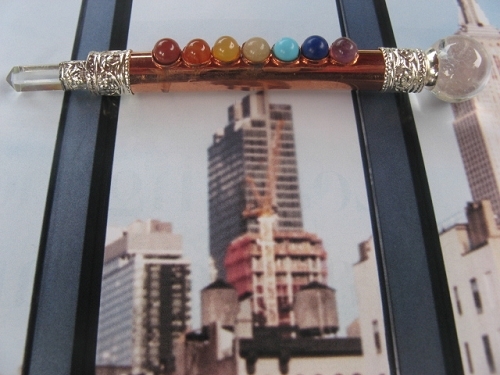 of $9 regardless of the size of the order. 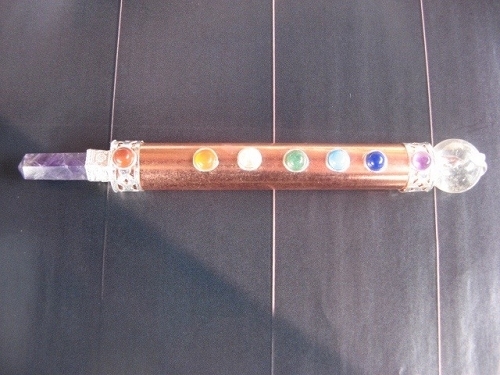 all the products in that department. 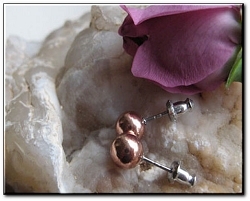 Copper Stud Earrings Copper Earrings #238AR - 3/4 of an inch long. 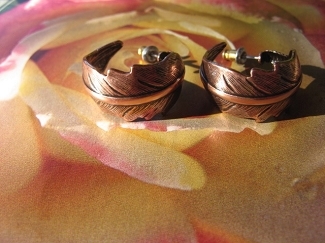 Copper Earrings CE105AR - 5/8 of an inch wide. 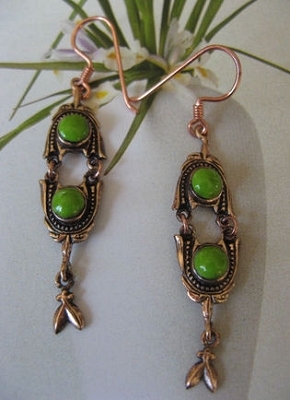 Solid Copper Earrings CE043- 1 inch long. 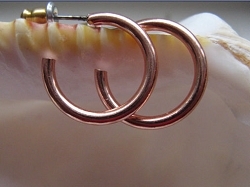 Copper Earrings CE6278CO - 3/4 of an inch round. 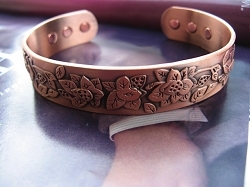 Ladies 7 Inch Solid Copper Magnetic Cuff Bracelet CBM220L- 1/2 an inch wide. 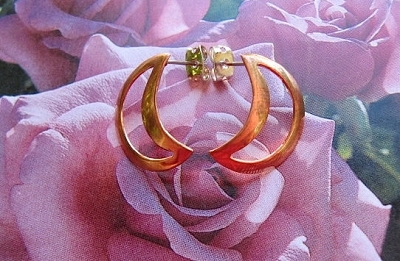 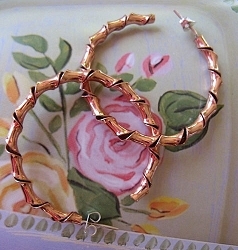 Solid Copper Hoop Earrings CE119 - 3/4 of an inch in diameter. 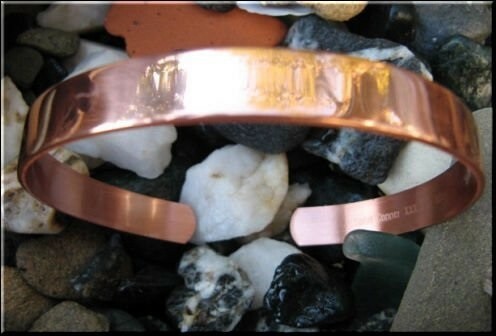 Men's 8 Inch Solid Copper Magnetic Cuff Bracelet CBM838 - 5/16 of an inch wide. 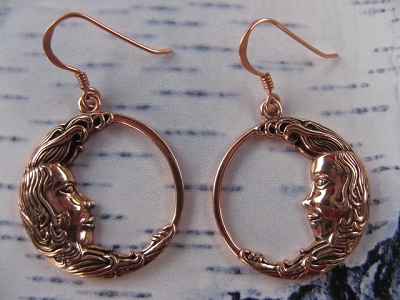 Solid Copper Hoop Earrings CE6524CO - 3/4 of an inch in diameter. 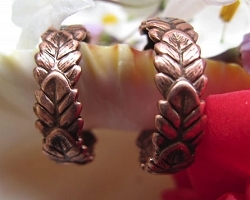 Women's 7 Inch Solid Copper Cuff Bracelet CB4643C1 - 3/4 of an inch wide. 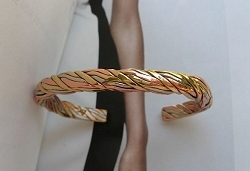 Women's 7 Inch Solid Copper Cuff Bracelet CB7156T - 3/8 of an inch wide. 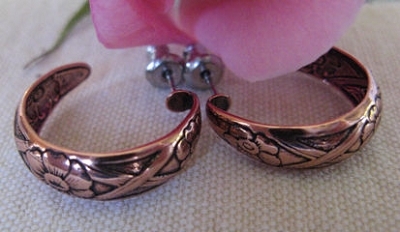 Ladies 7 Inch Solid Copper Magnetic Cuff Bracelet CBM219L- 5/8 of an inch wide. 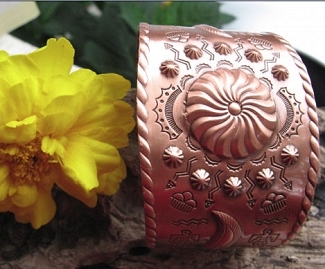 Women's 7 Inch Solid Copper Cuff Bracelet CB100 - 7/16 of an inch wide. 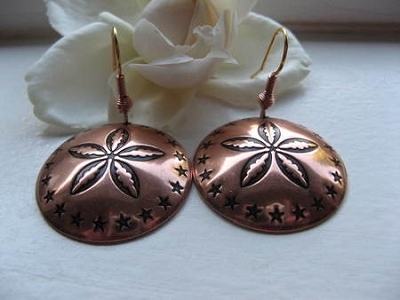 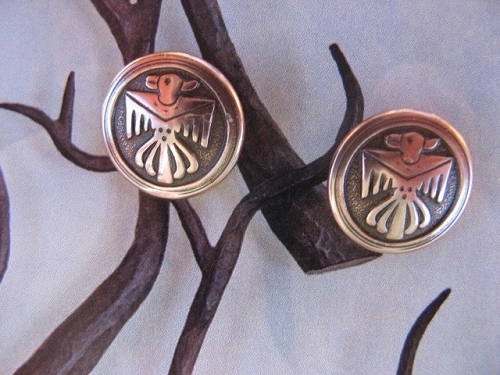 Solid Copper Earrings CE151C2 - 1 1/4 inches round. 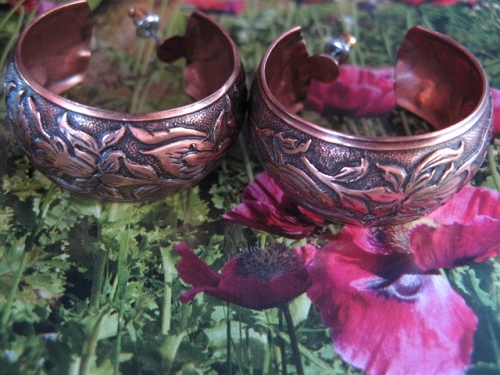 Women's 7 Inch Solid Copper Hammered Cuff Bracelet CB7164TH- 3/4 of an inch wide. 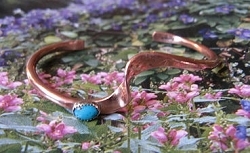 Women's 7 Inch Solid Copper Cuff Bracelet CB7164T- 3/4 of an inch wide. 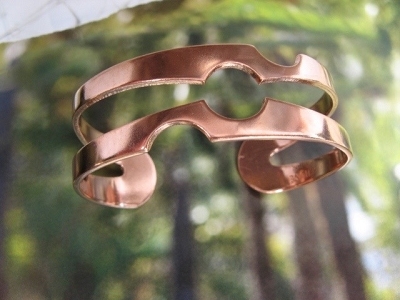 Women's 7 Inch Solid Copper Cuff Bracelet CB0651C3- 1 inch wide. 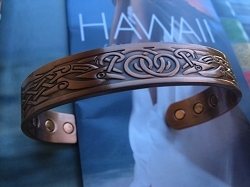 Men's 11 Inch Solid Copper Cuff Bracelet CB6663DX3 - 3/8 of an inch wide. 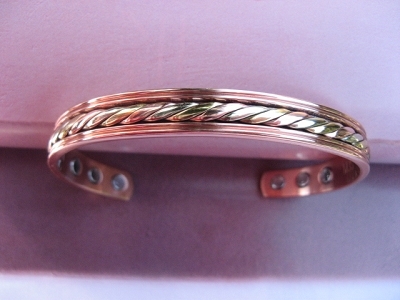 Ladies 8 Inch Solid Copper Magnetic Cuff Bracelet CBM236L- 5/8 of an inch wide. 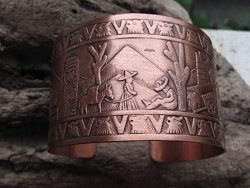 Women's 7 Inch Copper Cuff Bracelet C101BC - 1/4 of an inch wide. 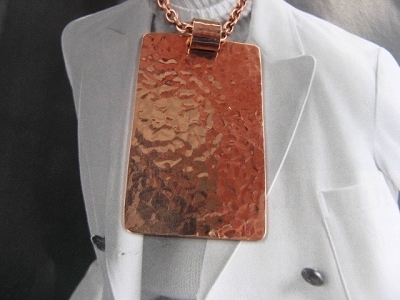 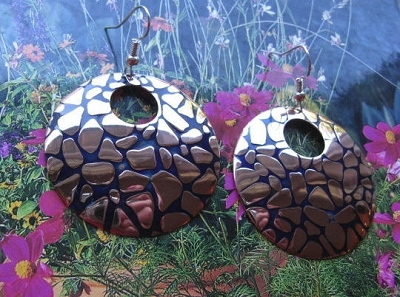 Solid Copper Earrings CE264JL - 2 inches long. 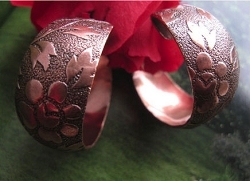 Women's 7 Inch Copper Cuff Bracelet CB5091C- 1 3/4 inches wide. 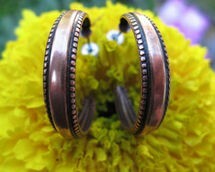 Solid Copper Earrings CE866E - 1 5/8 inches round. 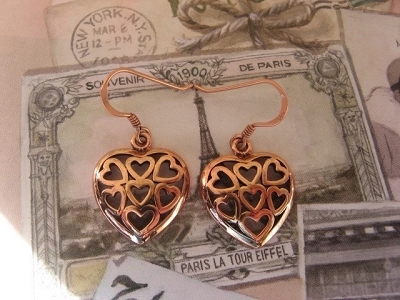 Solid Copper Earrings CER1135 - 3/4 of an inch long. 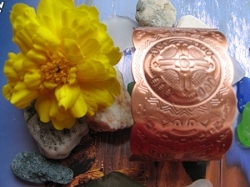 Ladies 9 Inch Solid Copper Magnetic Cuff Bracelet CBM236X- 5/8 of an inch wide. 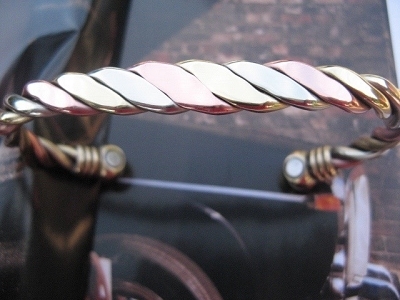 Ladies 6 1/2 Inch Solid Copper, nickel and brass Magnetic Cuff Bracelet CBM327 - 3/8 of an inch wide. 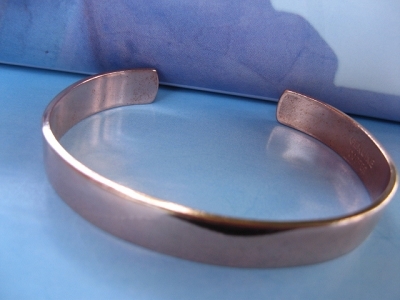 Men's 9 Inch Tri - Metal Magnetic Cuff Bracelet CBM331 - 3/8 an inch wide. 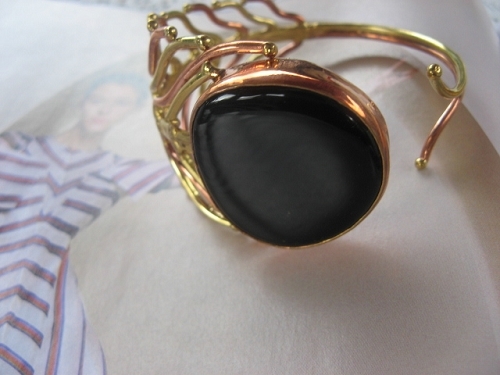 Ladies 7 Inch Solid Copper Magnetic Cuff Bracelet CB786M - 3/16 of an inch wide. 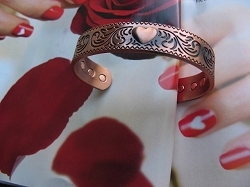 Ladies 7 Inch Solid Copper, Nickel And Brass Magnetic Cuff Bracelet CBM703M- 3/16 of an inch wide. 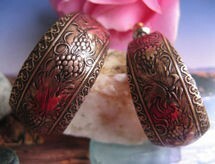 Solid Copper Earrings CE1961- 2 inches long. 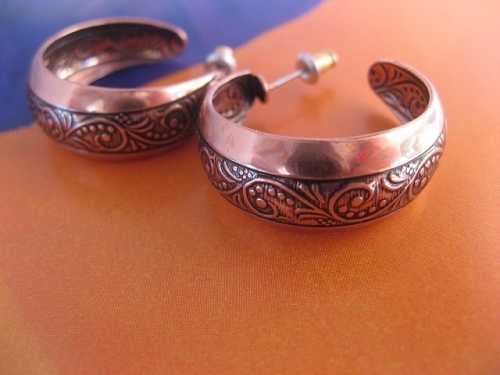 Solid Copper Earrings CER1272 - 1 1/4 inches long. 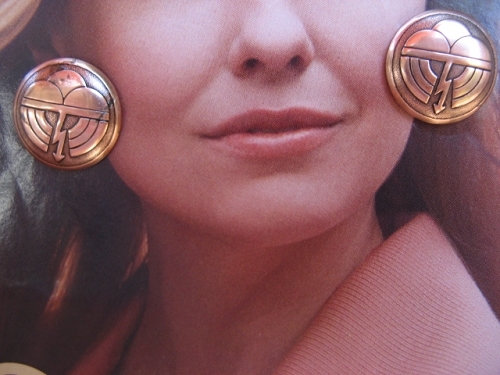 Ladies 7 Inch Solid Coppe CBM701M- 1/4 of an inch wide. 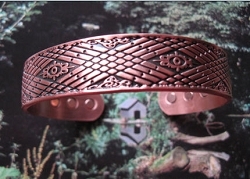 Men's 8 Inch Tri - metal Magnetic Cuff Bracelet CBM6810LM - 3/16 of an inch wide. 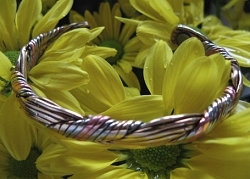 Women's 6 1/2 Inch Tri - metal Magnetic Cuff Bracelet CBM888 - 1/4 of an inch wide. 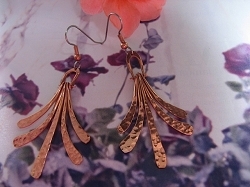 Solid Copper Earrings CE43SL - 2 1/4 inches long. 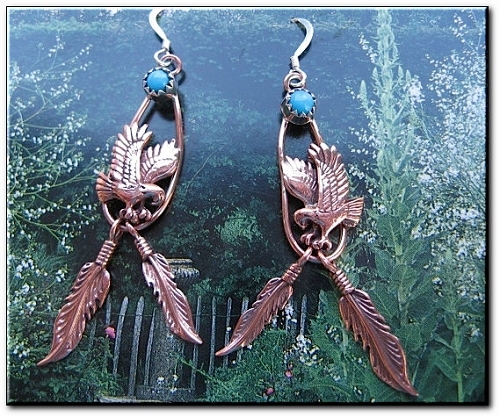 Copper Stone earrings with Turquoise stones CE42SL- 2 inches long. 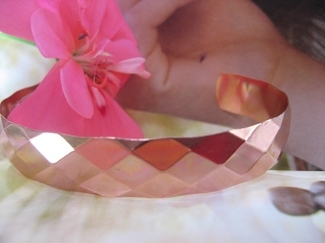 Women's 7 Inch Copper Cuff Bracelet CB310AJ - 1 1/2 inches wide. 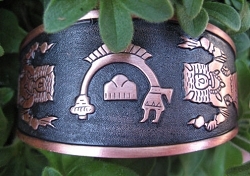 Women's 7 Inch Copper, Nickel And Brass Cuff Bracelet CB39M - 1/4 of an inch wide. 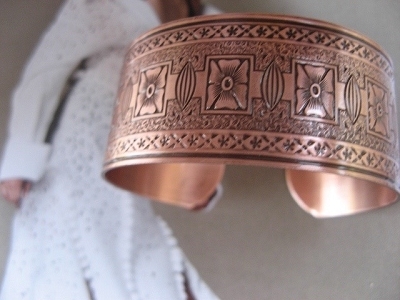 Ladies 7 Inch Solid Copper Cuff Bracelet CB625M - 1/4 of an inch wide. 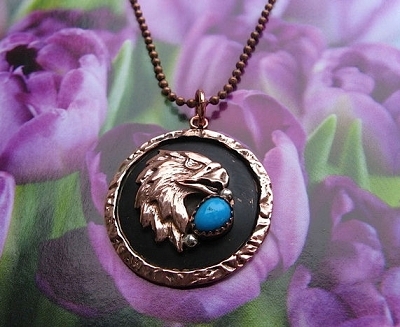 Solid Copper Turquoise Stone Pendant and 20 Inch Chain Set CP30SL. 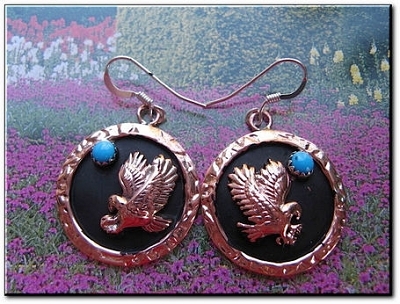 Solid Copper Turquoise Earrings CE25SL - 1 inch round. 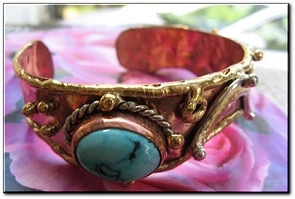 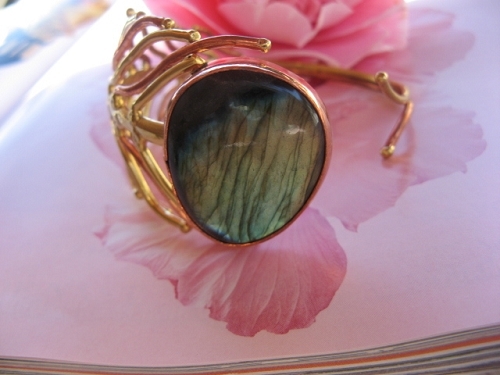 Women's 7 Inch Brass and Copper Cuff Bracelet CB41JZ- 11/2 inches wide. 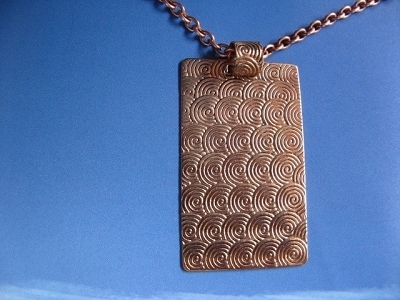 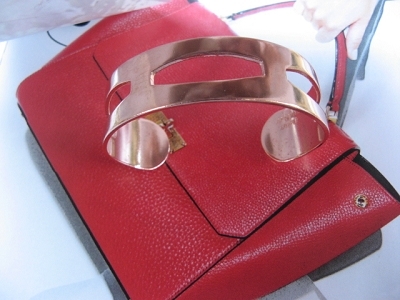 - More brass than copper on this design. 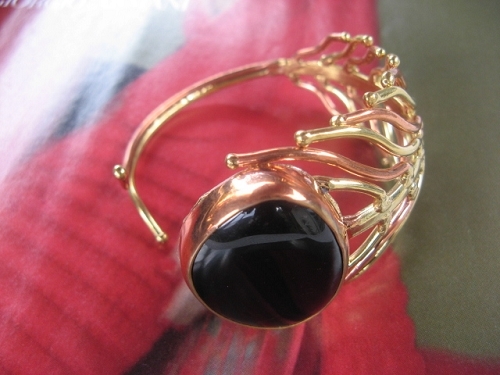 Women's 7 Inch Brass and Copper Cuff Bracelet CB40A-JZ- 1 1/2 inches wide. 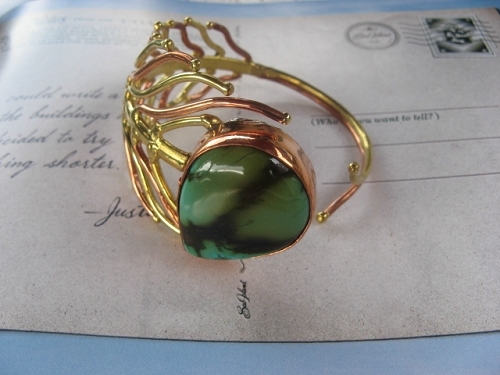 Women's 7 Inch Brass and Copper Cuff Bracelet CB40B-JZ- 1 1/2 inches wide. 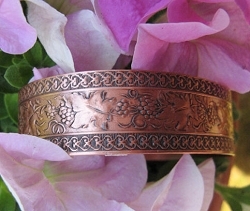 Women's 7 Inch Copper, Nickel And Brass Cuff Bracelet CB55M - 5/16 of an inch wide. 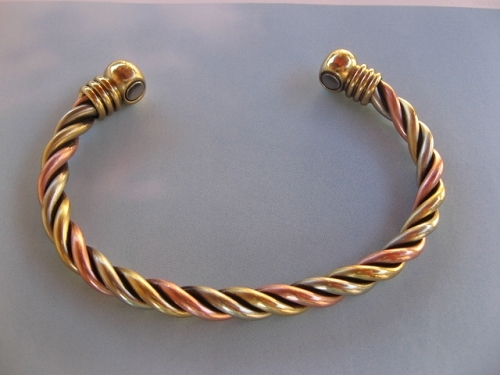 Women's 7 Inch Copper, Nickel And Brass Cuff Bracelet CB58M -5/16 of an inch wide. 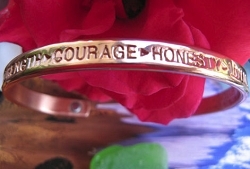 Women's 7 Inch Copper, Nickel And Brass Cuff Bracelet CB218JL - 5/8 of an inch wide. 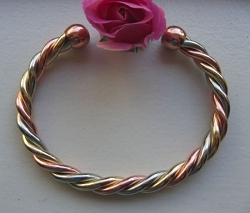 Ladies 7 Inch Solid Copper, Nickel And Brass Magnetic Cuff Bracelet CBM798M - 7/16 of an inch wide. 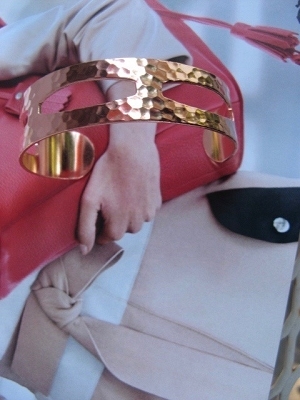 Women's 7 Inch Copper, Nickel And Brass Cuff Bracelet CB209JL - 5/8 of an inch wide. 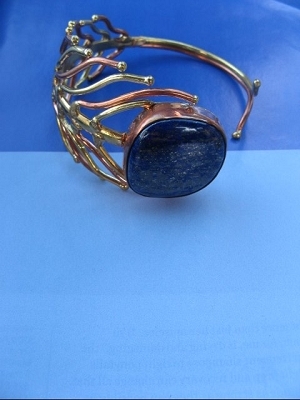 Ladies 7 Inch Solid Copper, Brass and Silver Magnetic Cuff Bracelet CBM843M- 9/16 of an inch wide. 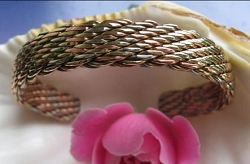 Women's 7 Inch Copper, Nickel And Brass Cuff Bracelet CB83M - 3/8 of an inch wide.